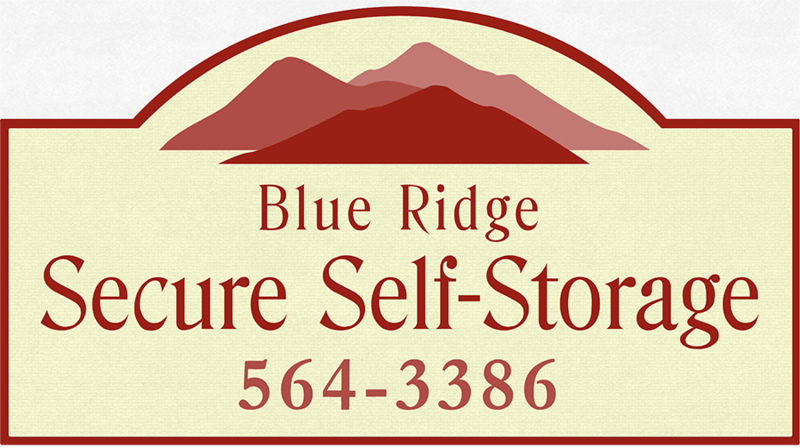 Blue Ridge Secure Self Storage offers Waynesville Storage Units and Maggie Valley Storage Units. We are a self-service, secure storage unit facility located in Jonathan Creek Valley. We offer storage units at very affordable prices, with brand new security and buildings. This is the perfect solution for between moves, short or long term storage or extra storage for your small business needs. Blue Ridge Storage offers an 8’ gated fence surrounding the premises and units, a personal code-entry access and 24 hour Security cameras surveillance with high-powered night lights. Located at 104 Utah Mountain Road, we are right in the heart of Jonathan Creek between Maggie Valley and Waynesville, just a couple hundred feet from Jonathan Creek Road. With 128 units, we are sure to find one that will be perfect for your needs and at competitive prices. Month-to-month lease with no long-term commitment. Payments accepted in person, by mail or telephone. You are responsible for the items you store with us and will need to furnish your own renters’ insurance. There are several companies with very affordable rates that can be found by searching online.